Check out our Google 360º Tour! Place your mouse cursor inside, and click & drag to move about inside our Green Bay store. Plan your 2019 Dive Trips with Aqua Center! Aqua Center is Northeast Wisconsin's Scuba Diving & Snorkeling Center. Your source for underwater adventure. We specialize in scuba diving and snorkeling equipment sales, service, scuba diving classes, instruction & scuba diving certification. 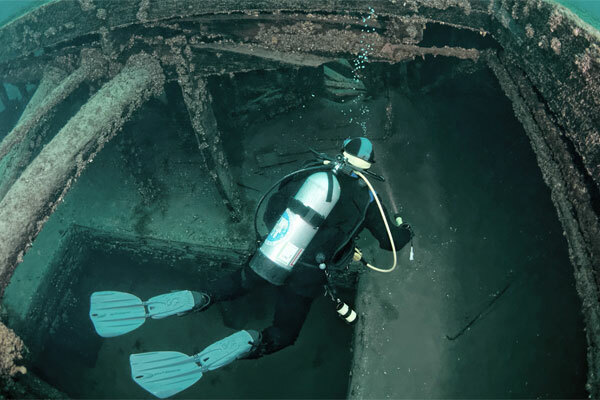 For over 30 years, we have been a part of the Green Bay community assisting our customers discover scuba diving and the beauty of the underwater world.